Running for office can be a daunting prospect for those that have never been involved in a campaign before. Individuals with brilliant policy ideas and tremendous experience will often file to run for office without first considering the effort and time commitment needed to win an election, even at a local level. Developing a successful campaign strategy is a sophisticated and comprehensive process that require a significant time commitment if you want to be successful. We’ve created this sophisticated guide to provide you with the resources you need to run for state or local office. 1. How do I know if I should run for office? Whether you are running for local office or higher office, campaigns take a lot of planning and preparation prior to launch. This guide to running for office will provide you with the introductory information to begin campaign planning. It is easy to get excited about certain aspects of the campaign and jump ahead, but I strongly recommend following the outline here to ensure that you are fully prepared to have a successful campaign plan. Are you ready to run for office? That is a loaded question. Running for office needs to be thoroughly evaluated prior to making the decision. There are a lot of things to consider which include, first and foremost, the time commitment required. Don’t underestimate the time required to run a campaign. Hopefully this article will help you determine what level of time investment you can expect. First, you need to choose what office to run for. To determine what office to run for, you should ask yourselves a series of questions complimented with a thorough investigation of election results from the past. Start by investigating what offices are up for election in the coming year(s) and what offices interest you. Then learn the basics of the office by answering questions like, is the race a partisan (Republican or Democrat) race or non-partisan? If it is a partisan race, is it primarily a Republican or Democrat district? Ambition is good in politics, but you must be realistic as well. If you are a Republican running for an office that is 60% Democrat, chances are you aren’t going to win. Pick a race that you can win. You can acquire election results from the past from the secretary of state or local elections office (depending on what seat you are running for). Also research how much money candidates have raised for their campaigns in that district in the past. I recommend using followthemoney.org. If you are running against an incumbent, you should set a goal to raise at least 80% of what the incumbent raised last election. Once you have determined what office you are going to run for, you should continue asking yourself questions that will kick off the brainstorming of your candidacy. Questions should include: what qualifies you to run for this office? Who is, or might be, your opponent? Why are you a better choice? What are the work requirements if you are elected? Do you have to live in the district prior to running for office? If so, how long? 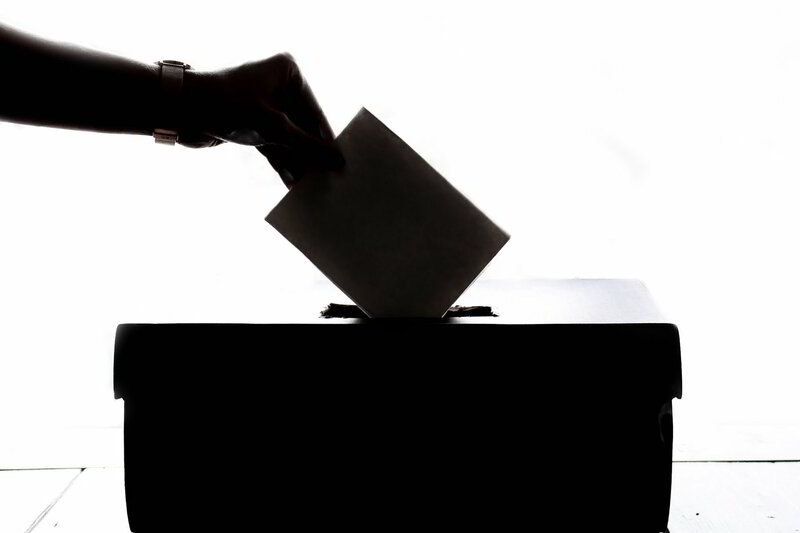 Be sure to investigate the election laws to ensure that you are eligible to run for office. Second, begin compiling a list of those you can count in the election. Running for office is a roller-coaster, created by many exciting and exhausting experiences. Create a list of those that surround you (spouse, friends, mentors, etc.) that you can rely on in your campaign. This network of people should be your biggest supporters and you should be able to count on them for support, both logistically and financially. Third, you need to consider the finances of both the campaign and the elected office. Once elected, will you be taking a pay cut with your current job or will you be able to sustain your job while holding office? I mentioned a good resource above to use in assisting you determine how much you need to fundraise for the campaign. As a candidate yourself, you should be the first contributor to your campaign. You can’t ask for contributions without donating yourself first. Evaluate your financial situation and contribute an amount that you deem manageable. Also, it’s good to have some working capitol prior to the campaign announcement when you begin accepting contributions. You will need to setup a bank account for your campaign. Any bank will assist you in this process. Note: be sure you are aware of and adhere to campaign contribution limits. Lastly, file for office! Now is the exciting part. Make sure you are aware of when you can file for office. Most elections have a specified period when you can officially file. Usually there is a fee associated with filing along with campaign finance adherence. Work with the secretary of state or your local elections office to make sure you have followed all campaign guidelines. If you don’t follow all campaign finance laws, you could be subject to fines. Congratulations on your candidacy! The real work starts now. Creating a political campaign plan that can launch your campaign to victory. You can never start planning a campaign too early! There are a lot of aspects to a successful campaign plan and it’s easy to get carried away and get fixated on one aspect of the campaign plan that excites you. Avoid the urge! Creating a successful campaign plan is a comprehensive process that spans a lot of different areas of focus. I’ll walk you through some of the most important aspects of a campaign plan here. Let’s start with campaign messaging. Creating a campaign message is much more than saying “[insert candidate’s first name] [insert candidate’s last name] for a change.” Campaign messaging is the mediums and content you use to portray your candidacy and why voters should elect you to office. One of the oldest rules of marketing is called the rule of 7 which dictates that prospective buyers must hear your message 7 times before they buy it from you. The same rule applies to campaigns. A voter must hear your message 7 times before they will understand why they should vote for you. The 7 impressions can and should be spread out across multiple mediums. Everything from yard signs to digital advertising should have consistent messaging. If your campaign messaging is inconsistent or too broad, it will get diluted and not be easily remembered by your potential constituency. So how do you choose your campaign messaging? You need to create your campaign messaging with a decent idea of how your opponent might position their campaign. The easiest way to kickoff your campaign messaging brainstorm is by completing an exercise called the Lincoln Squares. In the Lincoln Squares you draw a 2x2 table (see below) and label the various squares the following: candidate on candidate, candidate on opponent, opponent on candidate, and opponent on opponent. In the first square, you write what you think qualifies you for the office you are running for, attributes that describe you as a person, and your stances on various issues (i.e. experienced in business, non-profit work, honest, lower taxes, etc). In the second box you do the same except you contrast you and your opponent. You write down your opponent’s flaws (i.e. inexperienced, partisan, spend more and tax more, etc.). Note: this may be uncomfortable for you to do but it is very necessary. In the next two boxes you write what flaws your opponent might point out in you and what your opponent might identify as their strengths. Spend a significant amount of time researching what to put in each of these boxes. Ask for others input. Have others in your network complete the same exercise without looking at your squares first. After completing the exercise, take a step back and look for themes that you can pull from the squares. For example, you may uncover that you have ten times more experience in (fill in the blank) than your opponent. Try to pick out 2-4 major themes that differentiate you and your opponent from the squares that you can use to complete your campaign messaging. Don’t pick too many themes to avoid being too broad. You can also use these major themes to help define your campaign slogan. For more tips and tricks on how to pick a good campaign slogan see here: How to choose a Campaign Slogan for your Political Campaign. Candidates often struggle being authentic. Candidates put on this facade that they believe will portray them as a leader or “presidential.” Be yourself! Don’t try to be anything other than yourself. People can easily identify when you’re not acting yourself and it is one of the biggest turnoffs for voters. Be authentic in all forms of communication. A political campaign plan is most easily created in a calendar format. I encourage candidates to create a campaign calendar within Microsoft Excel. This calendar will be a living document (meaning it will change throughout the campaign). You can easily find an Excel calendar template to get started. This calendar should include personal events that will take you away from the campaign, campaign finance deadlines, campaign events and activities, and flex time that you can fill in with whatever comes up at the time. It may not be easy, but I recommend filling out the campaign calendar starting the day of the election and working backwards. If you have a limited amount of resources, it is better that you use them closer to election day than months before. Planning backwards will ensure that you are planning with the end in mind. You are well on your way to creating a winning campaign plan for your election. Let’s talk about your campaign infrastructure now. Creating an effective campaign infrastructure will be paramount to running a successful campaign. That could be a primarily grassroots campaign that relies on volunteers in the area, or a highly talented paid campaign team, or somewhere in between. Whatever you choose, it is important to determine what resources are available to you and how you might be able to use them most effectively. In this section we will discuss how to set up an effective campaign team, the responsibilities of the candidate, and when and how to work with vendors. You need help with your campaign. Even if you are running for the smallest office in the smallest town, a campaign team is necessary. It doesn’t have to be big team, but roles should be defined. Let’s walk through some of the basic responsibilities of a campaign team. Main Responsibilities: There are a lot of responsibilities in the campaign. It is the candidate’s job to not get involved in the nitty gritty. Delegate all tasks that can be delegated to allow you to focus on your main responsibilities. The candidate’s main responsibility is fundraising and earning votes. You can have volunteers or campaign staff fundraise and work to earn votes (i.e. door knocking, phone banking, etc.) but there is a huge difference when a candidate asks for money or for votes compared to when a staffer or volunteer asks. Main Responsibilities: If you are running for local office, having only a campaign manager, along with the candidate, may be enough for your campaign. I would recommend always having a campaign manager though. The campaign manager’s job is to manage of all aspects of the campaign that doesn’t require the candidate’s participation. In smaller campaigns the campaign manager could be responsible for advertising, developing a canvassing plan, managing funds and budgets, setting up events, working with volunteers, submitting finance reports, etc. In a larger campaign, the campaign manager oversees a team of staffers who perform those functions. Other positions within a campaign team could include a finance director, events director, communications director, canvassing director, and there is a laundry list of others. Check out this blog post for more information: Political campaign jobs and the skills they require. If you are running for office chances are you will work with vendors. Media buyers, digital strategists, direct mail consultants, website development, etc. This may seem overwhelming, but vendors can be powerful assets. Many candidates will attempt to learn how to do these things themselves which isn’t the best option. Vendors are experts and can save you money while being significantly more effective than trying to do it yourself. If you are running for local office and have a smaller budget, vendors can still be useful. For those looking for graphic design help, I recommend looking at freelancers on fiverr.com. You can get a professional campaign logo and brochure made for less than $20. Even with a small budget, consider consulting vendors to assist in your campaign. Create a press release announcing your candidacy for office, why you are running, a brief background on you and your experience, and what you hope to accomplish when elected. Send this press release to all media outlets (print, radio, and TV) within the boundaries of the district you are running in. You can also re-purpose your press release for your website and social media channels to generate awareness and excitement. Holding an event to announce your candidacy can be an effective way to raise awareness. Network with local businesses, non-profits, and political organizations that you are affiliated with and invite them to attend. Events are especially effective for raising funds for the campaign. Make sure you have a way to accept funds prior to the event. Even if you can only get a dozen or so people to a cozy event at your house, it can still be effective. Share a short message at the event describing the reasons you are running and record it on video to share across social media channels. To be an effective candidate, you must be on social media. Your constituency is on social media and so should you. Sharing your activities on the campaign trail to your social media profiles can be a powerful means of engaging with potential voters. When it comes to announcing your campaign, be sure to be very active on social media around your announcement. If you have funds available, you can promote Facebook posts for as little as $5 and reach thousands of voters in your district. Don’t underestimate the power of social media. When announcing your run for office, there are certain things you must have ready prior to the announcement. Having an active website that accepts donations, a brochure that describes your campaign, and signs to offer supporters are all a good idea to have. I’ll break this down further in the next section. Picture above is an example of a campaign ad ran on Facebook's ad manager. A professional website is a must. Do not compromise on your website. A campaign website is often the first impression that voters will have of you. Create a campaign website that is descriptive, professional, and accepts donations. I’ve created a guide, Campaign Website 101: 5 Requirements to Create a Winning Political Campaign Website, which can aide you in creation of a website. If you have website design experience, you can use website builders like Wix and Wordpress. If you don’t have experience, don’t attempt to build one yourself. I’ve seen far too many candidates try and fail. Work with a professional campaign website design company like Poli-Site to make a campaign website you can be proud of. As mentioned in the section above, having a brochure and campaign yard signs are important early in your campaign. Try to stay ahead of the game by having these materials on hand early in the campaign. Falling behind will just add to your already busy campaign schedule. There are endless mediums for campaign advertising both online and offline. I’d recommend exploring those within your network with advertising experience and asking for help. Don’t hesitate on trying new things. There is amazing technology out there that can allow you to reach your voters for relatively cheap. Digital advertising can be especially effective at reaching your candidates across social media channels and across the web with display and search engine ads. IP targeting can allow you to target specific voters as opposed to targeting everyone in your district (including those that don’t normally vote). Direct mail can also be an effective advertising medium if executed properly. If not executed properly, you can get lost among dozens of candidates’ direct mail flyers. Nothing beats a good face-to-face interaction. Door-to-door canvassing remains one of the most effective campaign tactics. Candidates should make this a priority throughout their campaign. Try to be conversational. Most people don’t enjoy people knocking on their doors so be brief, friendly, and stay on message. I have heard plenty of candidates brag about visiting every door in the district. This is not something you should be proud of. Anywhere from 30%-80% of the people in your district will not vote. It would be better to knock the doors of the registered voters three times each than knock on every door in the district. You can buy a list of the registered voters in your district from the secretary of state or your local elections office. Campaigns are stressful, but they can also be extremely fun. Enjoy the process of running for office! That was a lot of information. The information in this blog is only the tip of the iceberg. Here at Poli-Site, we specialize in affordable and professional campaign website design and also offer a wide variety of campaign services for those running for office. Whatever stage of the campaign you are in, we are happy to meet and discuss ideas to help you be a better candidate. Click the button below to schedule a free 15-minute consultation with one of our campaign experts. Poli-Site.com produces the most professional, affordable, and convenient campaign websites. Pick one of our campaign website packages to get started.